Here we are… end of January and the weather’s been freaky. There’s a surprise. It was ice storm fun on Monday, then it was 60 degrees, then it was biblical rainstorms last night. Go figure. So, had to order what will hopefully be my last batch of test strips and insulin. Ordered from Caremark (I’m too young to get them from Liberty Medical) and jumped through the hoops, including them arbitrarily canceling the order. So, they send me a tracking number yesterday and, of course, it’s signature required. That would be at the time when Supportive Partner Woman and I aren’t home. So, I arranged to have the package held at the local UPS office. All good. I get a phone message from them after I get home letting me know that my order will be shipped on the next business day. Guess the left and right hands never met. I can’t say that I’ve ever been told that before. Sigh. The consequences of diabetic feet. I’ve continued to be more active, even though the workload has picked up at the office. Looks like I even get to do a little bit of a woodworking project for the boss, building read boards. This should be fun… I haven’t built anything in some time and I’ve kind of missed it. At any rate, SPW is on her way home so that we’ll actually get to spend some time together while both of us are conscious. Yay! Hope you all have a great rest of the week. P.S. I did managed to come up with some cool new Lego minifigs over the last couple of weeks. 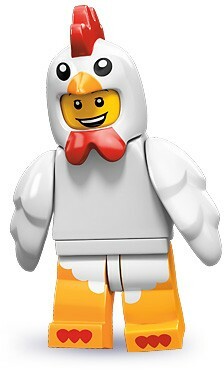 The coolest one is the guy in the chicken suit. 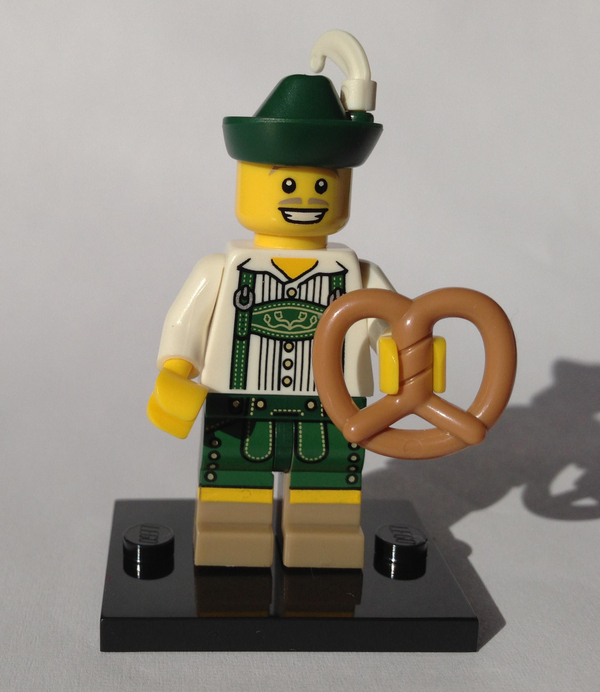 He’s this set’s equivalent of the pretzel guy from Series 8.